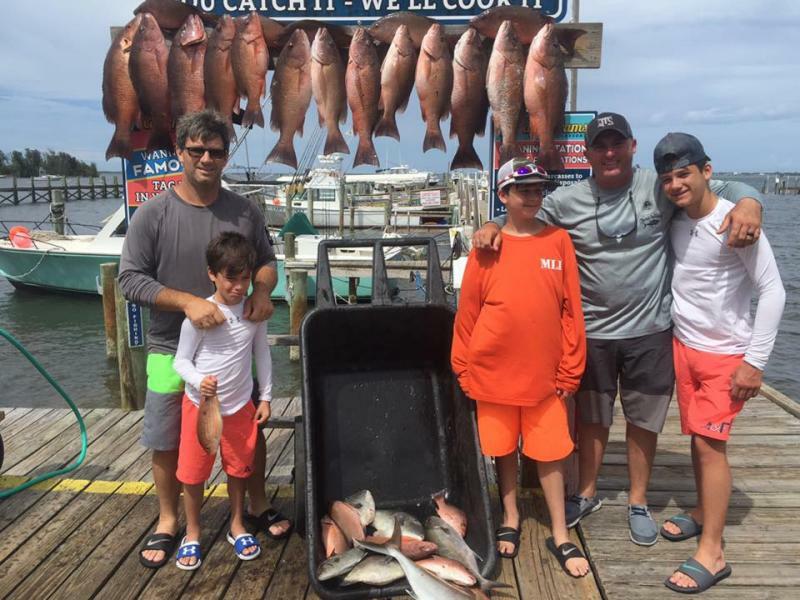 August- This month still produced good numbers of Amberjack, Mangrove Snapper and Kingfish. On the surface bite we had an occasional Cobia and Dolphin. All in all, the month of August was great! July- We started off July with a thermal cline that turned our bottom water tempurature to about 60 degrees. This pretty much shut down our Mangrove snapper and Grouper fishing on the bottom. The thermal cline pushed large numbers of Amberjack into our 90 foot reefs. 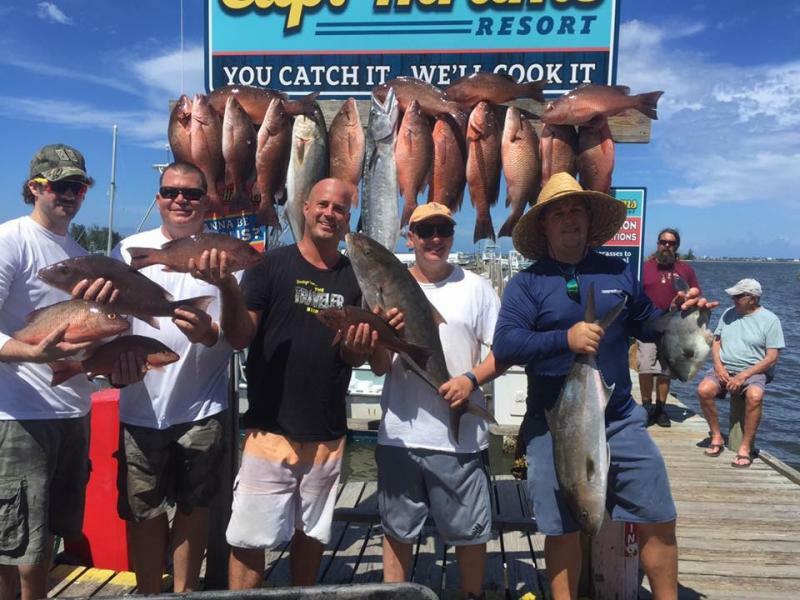 We were sometimes limiting out with in 30 to 45 mins, with Amberjack, some of them weighing in at 60 lbs. 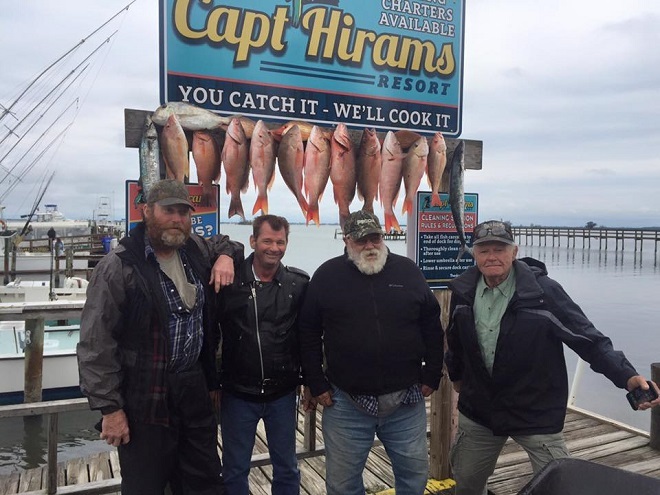 This combined with a surface bite of Kingfish and a few Dolphin and an occasional Cobia, left our anglers with sore arms and a box full of fish!! 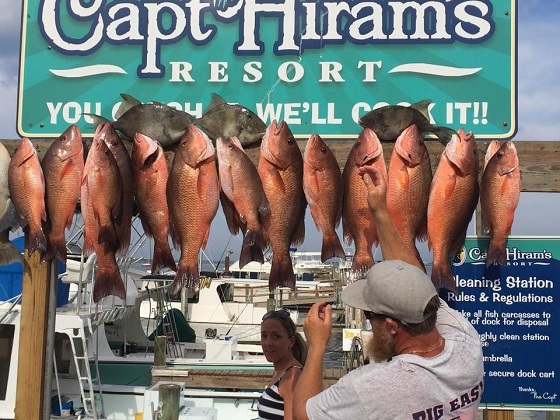 In the last days of July we've already seen the bottom warming up and expect the Mangrove Snapper and Grouper fishing to pick back up in August. 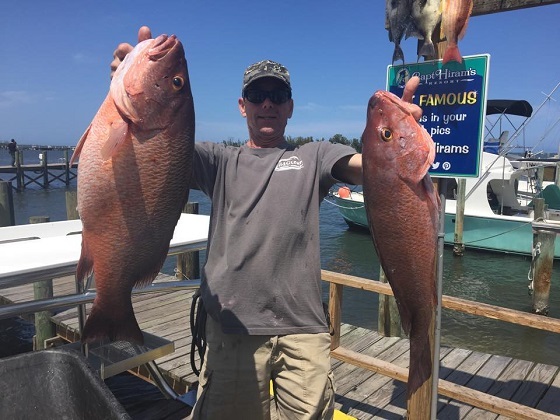 June- In this month the Mangrove Snapper fishing was pretty much a sure thing. Alot of days seeing up to 20 fish 10 to 12 lbs, with several fish pushing 15lbs. 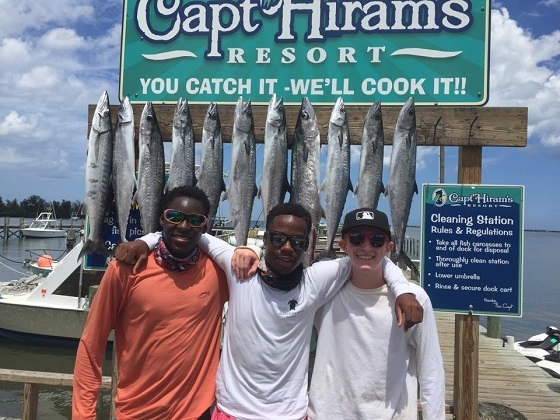 We also had an occasional surface bite of Kingfish, Dolphin, and Cobia on live baits. Once again June turned out to be my favorite month of the year!! APRIL/MAY-Im combining April and May because 55 days of spectactular fishing left very little time to do fishing reports....please except my apology. The dolphin run started in full swing and was fairly steady going into May. 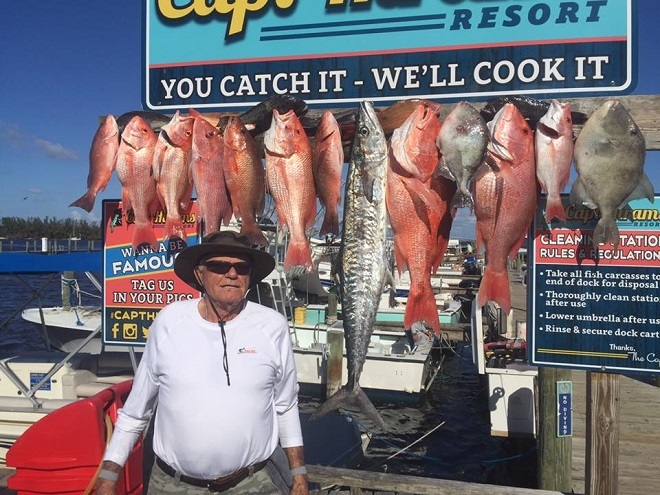 Along with the Mangrove snapper bite of 20 to 25 fish a day, 10 to 12 lb class with opportunities to catch 15 lb plus fish, but seldom turned on 25 to 30 lb leaders on spinning tackle. 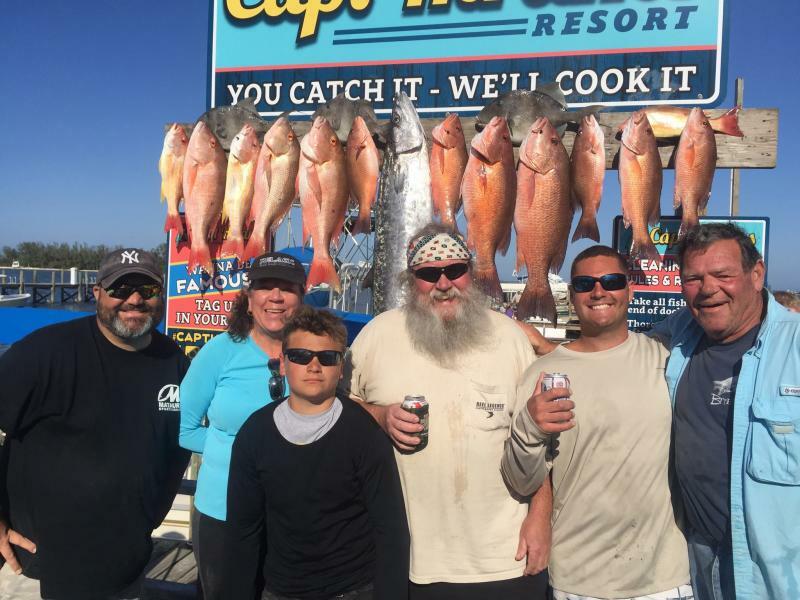 With Grouper season opening up May 1st, alot of days were split trolling for Dolphin in the morning, and dropping to the bottom for Grouper in the afternoons. 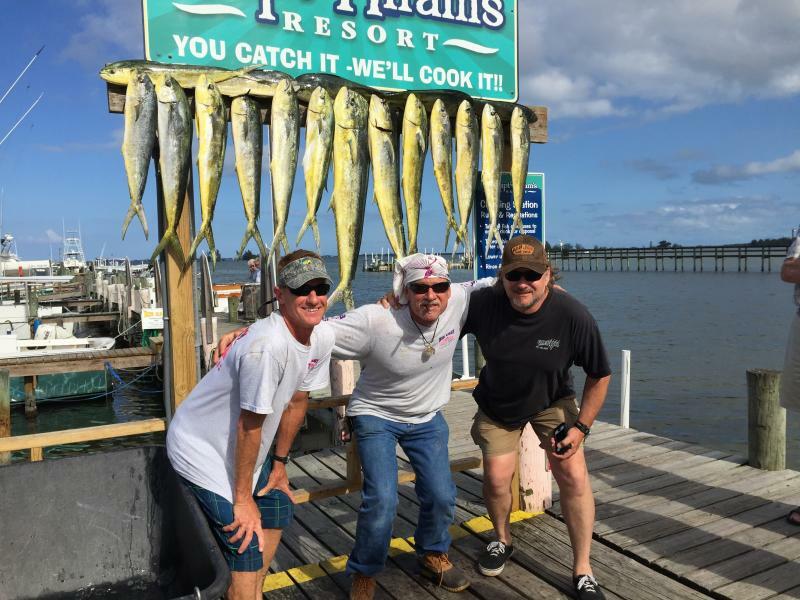 FISH ON!!! GOTTA GO !! January-Inspite of the rough weather and cold fronts, we still managed to fish 2 to 3 days per week and found some decent weather days. Trolling some Sailfish, Dolphin and King Fish still showed up. 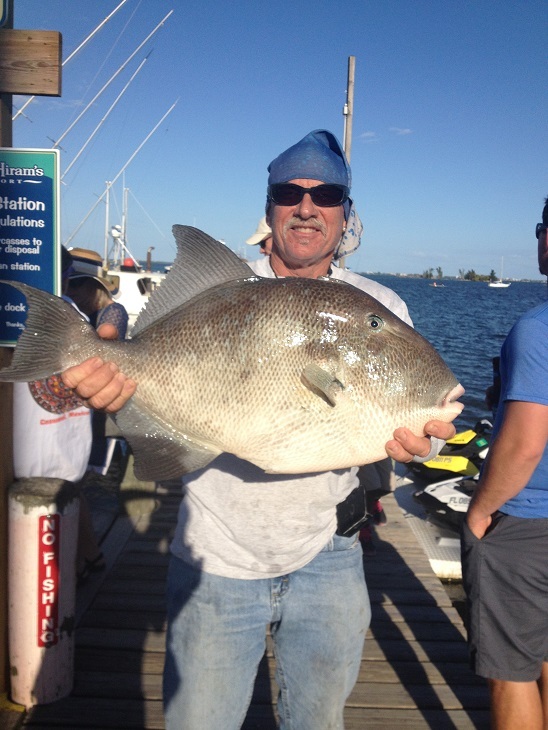 Bottom fishing proved good numbers of Trigger Fish, Lane Snappers, Vermillion Snappers and a few nice Mangroves!!!! Looking foward to warmer weather and calmer seas! !